New readitlater features : learn more here. 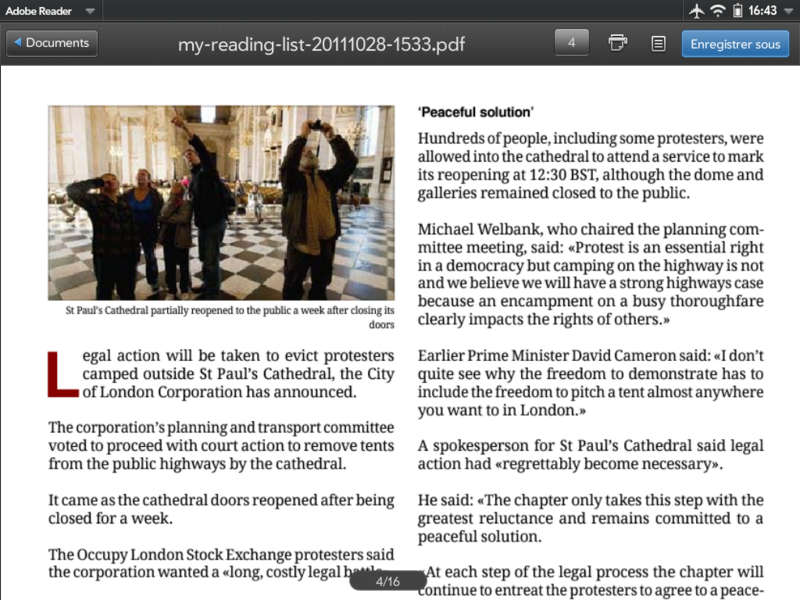 Newspaper Creator is the best solution for offline reading on HP Touchpad. If you travel with your touchpad, it is impossible to read your favorite websites because the tablet does not have 3G. Newspaper creator allows you to read your favorite RSS feeds and twitter without internet connection. Create your own newspaper in PDF format to always have news to read while travelling. 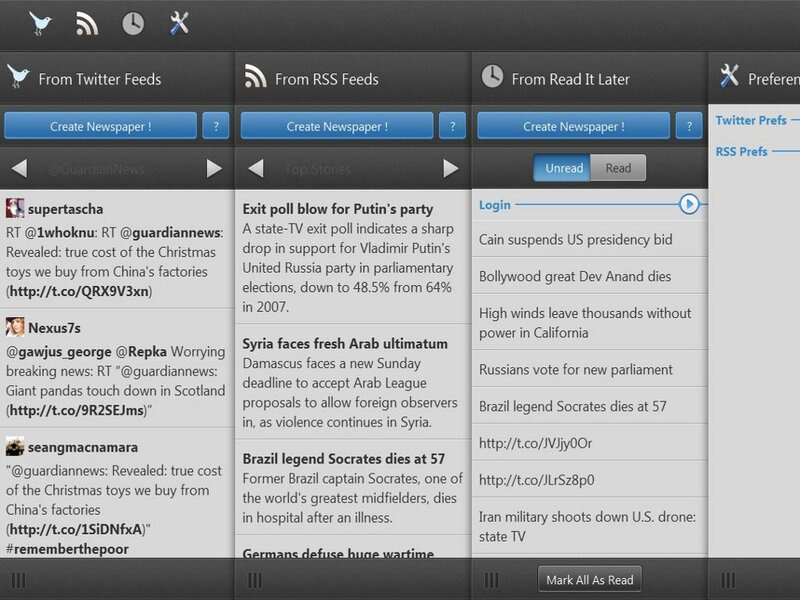 Choose your favorite RSS feeds using the RSS search engine built into the application. 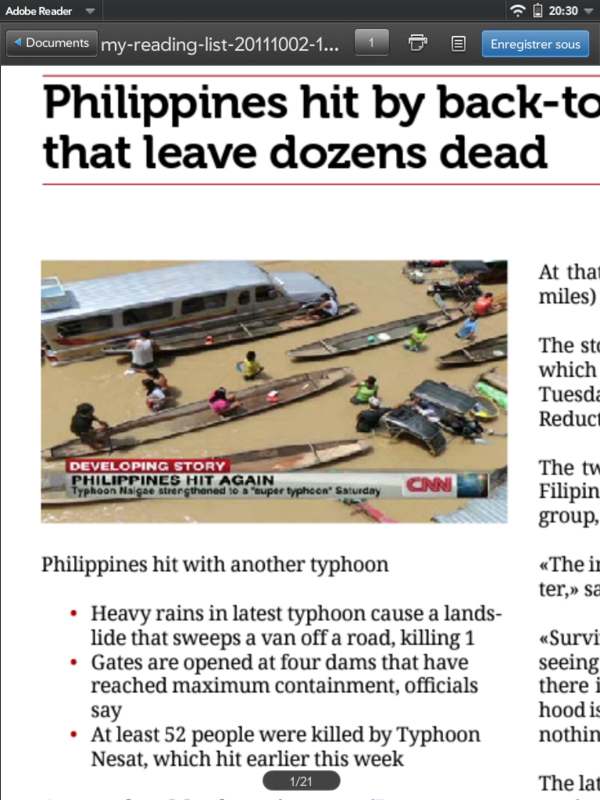 Newspaper Creator creates PDF files with a text formatted in two columns for comfortable reading. PDF files created are supported on any operating system .. Play Youtube Demo video in the App Catalog to see the application running. J’aimerais savoir si les livres que j’ai entrés sur ma tablette de lecture IREX peuvent être recopiés sur ma TP . Merci de me renseigner si vous pouvez . Excellent app ! Thanks ! Why doesn’t this work in the UK? Please fix or refund the cost of this app!!! Hi, Joliprint services are having issues (for all contries) right now. I’m investigating to know what’s wrong. Hi Andrew, everything is working fine now. Would like some action / response before posting my Rating. Please respond via email – the one used for this post is the sender for my newspaper requests. Newspaper Creator uses Joliprint online services to create Newspapers. This service had issues with converting links. I’ve contacted Joliprint and at this moment, everything is back online. Also make sure you are running Newspaper Creator 1.6.0 version. If you have any other problems, feel free to contact me.